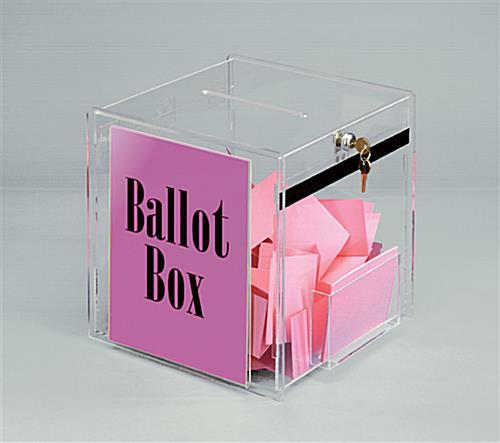 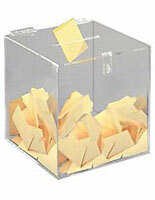 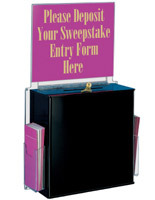 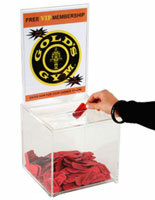 Standard sign channel 8-1/2" x 11"
This clear ballot box, also known as an entry box, can make a great registration box, suggestion box or even a donation box. 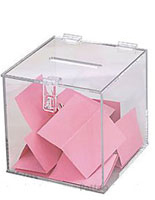 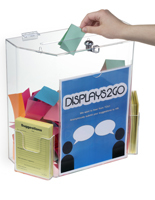 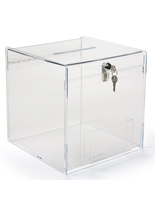 This clear acrylic entry box (12" cube) comes with a key lock and a 6-1/4" wide pocket for convenient storage of ballot or comment cards. 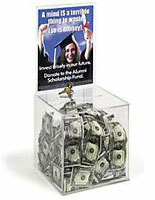 The top slot is 6 1/2" long by 1/2" deep. 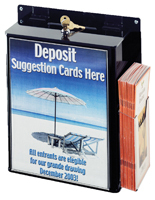 An 8-1/2" x 11" sign channel is included for insertion of your customized graphics . 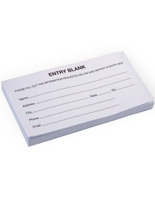 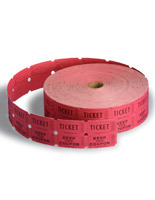 12.0" x 78.0" x 11.5"